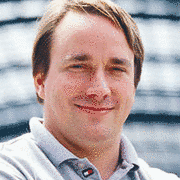 You should not miss the interview Linus Torvalds recently gave to Swapnil Bhartiya, assistant editor at EFYTimes.com. It is published on openITis.com (also known as linuxforu.com) - India's contribution to GNU, Linux, Free Software and Open Source communities. Q: "Slowly but steadily, features of the -rt tree are getting integrated into the mainline. What are your current thoughts regarding a merger of the remaining -rt tree into the mainline (and I'm not talking about the CFS)?" Linus: "I won't guarantee that everything from -rt will 'ever' be merged into the standard kernel (there may be pieces that simply don't end up making sense in the generic kernel), but yes, over the years we've actually integrated most of it, and the remaining parts could end up making it one of these days. I'm a big fan of low-latency work, but at the same time I'm pretty conservative, and I pushed back on some of the more aggressive merging, just because I want to make sure that it all makes sense for not just some extreme real time perspective, but also for 'normal' users who don't need it. And that explains why the process has been a pretty slow but steady trickle of code that has gotten merged, as it was sufficiently stable and made sense. That, by the way, is not just an -rt thing; it's how a lot of the development happens. -rt just happens to be one of the more 'directed' kernel projects, and one where the main developer is pretty directly involved with the normal kernel too. But quite often the migration of other features (security, virtual memory changes, virtualization, etc) follows a similar path: they get written up in a very targeted environment, and then pieces of the features get slowly but surely merged into the standard kernel." becomes available as a configuration item in an unpatched kernel. Read the original four-page interview LinusTorvalds: I Have Never Really Talked To Microsoft! here.